It was like a scene from Alfred Hitchcock's movie 'The Birds.' 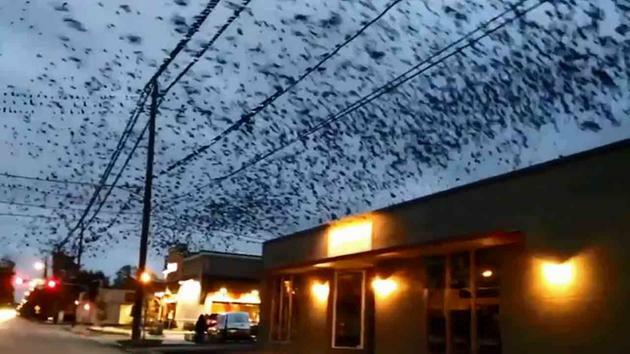 A giant flock of birds invaded the sky in a Houston neighborhood. The birds covered the utility wires and the edges of roofs. The man who shot the video was driving by when he spotted the amazing sight. Warning: Graphic language in video. Tap here to view on News app.